Our BA (Hons) Fine Art students have recently enjoyed a six-day trip to New York. New York is such an amazing and surreal place and just being there gave me inspiration. Final year student, Cathy Harker. 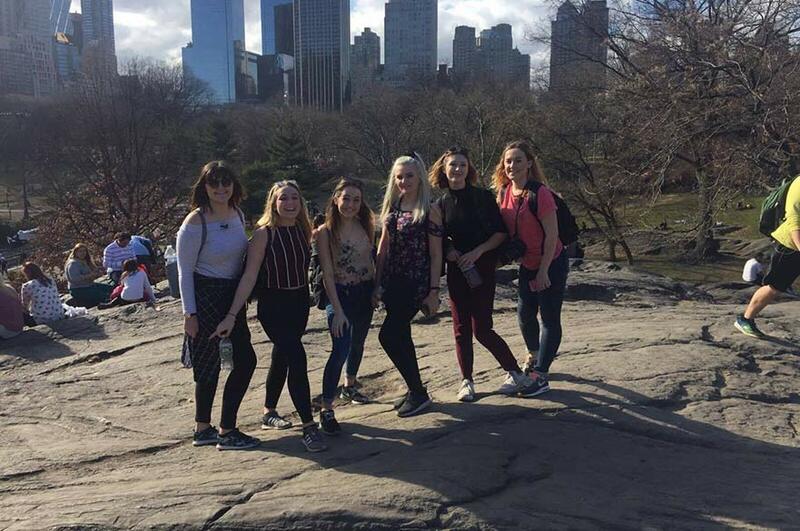 Our BA (Hons) Fine Art students have recently enjoyed a six-day trip to New York. The optional study trip was open to all students, giving them a chance to experience the city’s world-renowned art scene, and the chance to find inspiration for their current projects. Their itinerary included a visit to DIA at Beacon, a museum located on the banks of the Hudson River. Here the students had the chance to explore a vast range of art collections from some of the most significant artists of the last half-century. During their time in New York the students were also encouraged to visit places such as The Metropolitan Museum of Art (The MET), the Lynn Hershman Leeson exhibition at Bridget Donahue, and the Sculpture Center located in Long Island City. Staying on 7th Avenue, the students were only a short walk away from some the city’s major tourist attractions, including Times Square, the Empire State building, and Grand Central Station. Final Year student Cathy Harker said: "New York is such an amazing and surreal place and just being there gave me inspiration. I visited MoMA PS1 and a number of galleries around Soho and Chelsea, they were all extremely beneficial and packed with art. One of my highlights was sitting in Central Pack with an ice cream as the weather was amazing! ".